When we talk about photography, oftentimes we talk about those in the frontlines, the photographers and artists, and forget the facilitators behind the scenes who are just as committed in their efforts and contributions. Here are some of our favourite advocates, all ten of whom are women. NayanTara Gurung Kakshapati is a photographer and curator based in Kathmandu, Nepal. 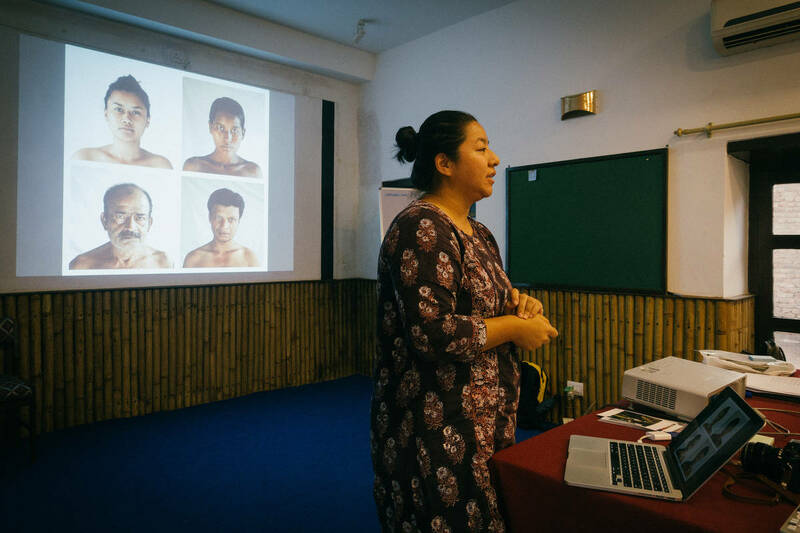 In 2007, she co-founded photo.circle, a photography platform that has facilitated learning, networking, publishing, and marketing opportunities for Nepali photographers. In 2010, she co-founded the Nepal Picture Library; a digital photo archive that strives to document a ground-up history of the Nepali people. And in 2015 she co-founded Photo Kathmandu, Nepal’s first international photography festival. NayanTara Gurung Kakshapati presenting at our VSS Workshop in Kathmandu, Nepal. Born in Ghent, Belgium, Françoise Callier has lived in Paris since 1983. 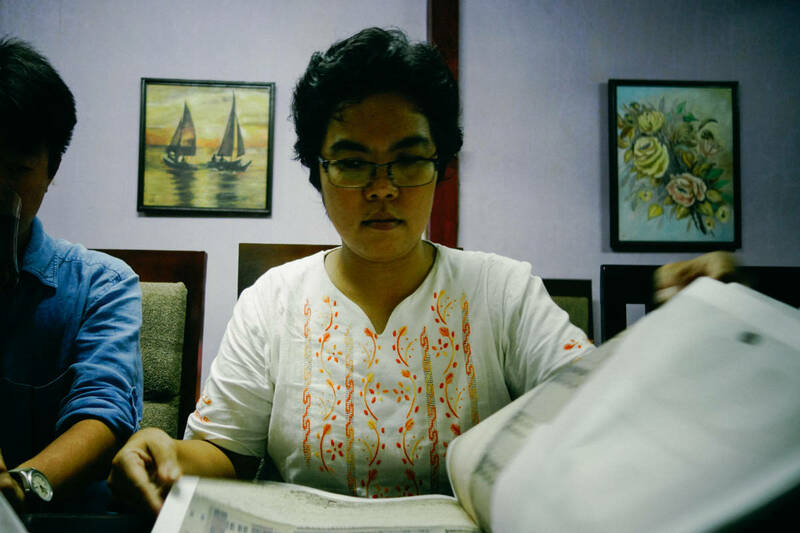 She is currently the Program Director at Angkor Photo Festival & Workshops, Southeast Asia’s longest running festival, and undoubtedly one of Asia’s most important. She also curates for various festivals that help emerging Asian photographers and others show their work around the world. From 1983-1990 she was the photographer’s agent for Helmut Newton, Jean-Paul Goude, Max Vadukul and others. Françoise Callier at Mt. Rokko International Photography Festival 2016. 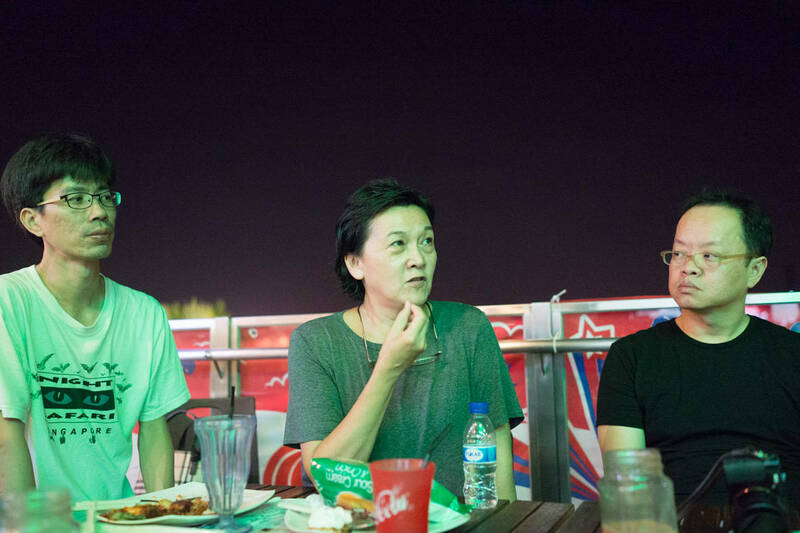 Gwen Lee is the co-founder and director of Singapore International Photography Festival and DECK gallery – an independent art space that supports Southeast Asian contemporary photography. In 2010, she was nominated and awarded with the Japanese Chamber of Commerce and Industry Culture award for her contribution to the art scene in Singapore. 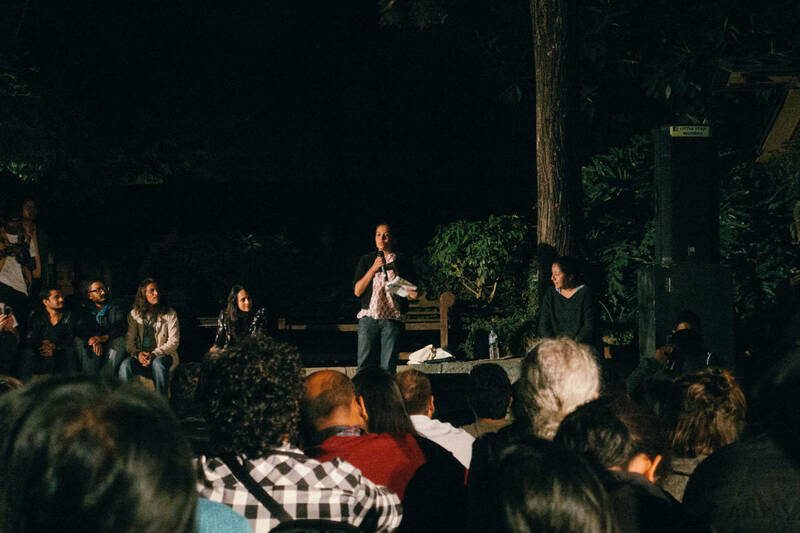 DECK is an independent art space launched in 2014 with the mission of supporting and nurturing the community of photography enthusiasts in Singapore and Southeast Asia. Singapore International Photography (SIPF), the first event of its kind in Southeast Asia – its first edition held in October 2008, is a non-profit biennial festival that strives to provide a platform for Southeast Asian artists to showcase their works alongside their international peers at various venues across Singapore. 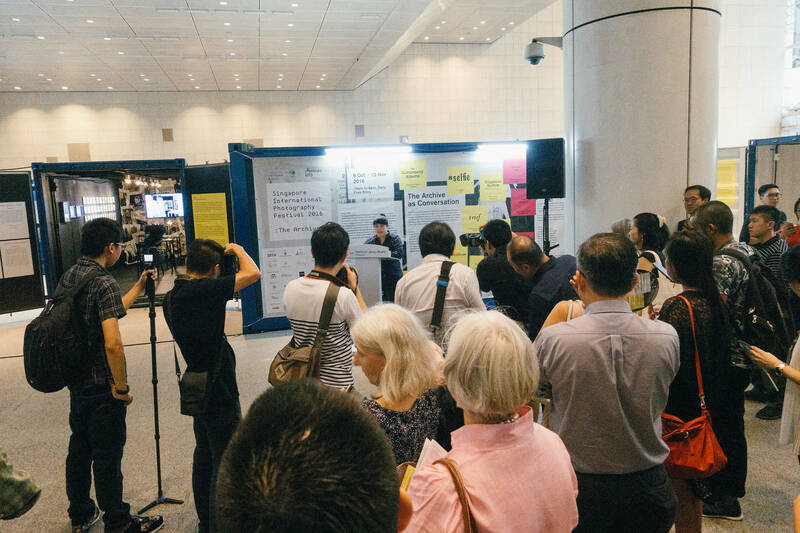 Lee Gim Lay opening Singapore International Photography Festival 2016. Emmeline co-founded Objectifs in 2003 and now oversees the general centre management including the educational and corporate programmes at Objectifs. She spearheads the annual Shooting Home mentorship programme, a successful platform for budding photographers to turn professional, and has participated in various visual arts events such as being a Nominator and Judge for prestigious ICON de Martell Cordon Bleu Photography Award. Her contribution to the photography scene in Singapore has been recognized over the years with a nomination for the Spirit of Enterprise; named as one of the Top 50 Creative People in 2010, TimeOut Magazine; and Top 10 Creative Minds 2012, Prestige Magazine. Emmeline Yong at the HK/SG Photobook Exchange | 1st–2nd April 2017 at Objectifs. Yumi Goto is based in Tokyo and the co-funder and curator for the Reminders Photography Stronghold which is curated membership gallery space in Tokyo enabling a wide range of photographic activities. 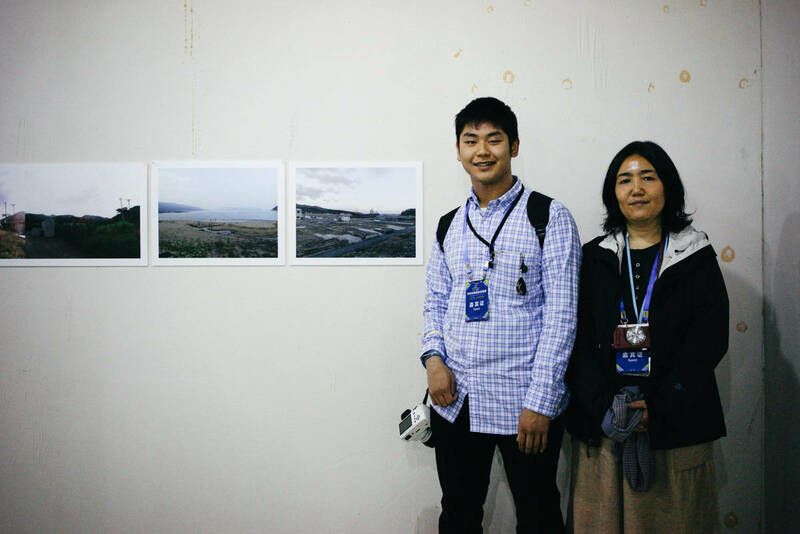 Yumi Goto with a photography student at Xishuangbanna Photo Festival 2014. Since 2010, Jessica Lim has worked with the annual Angkor Photo Festival & Workshops, the longest-running international photography event in Southeast Asia. 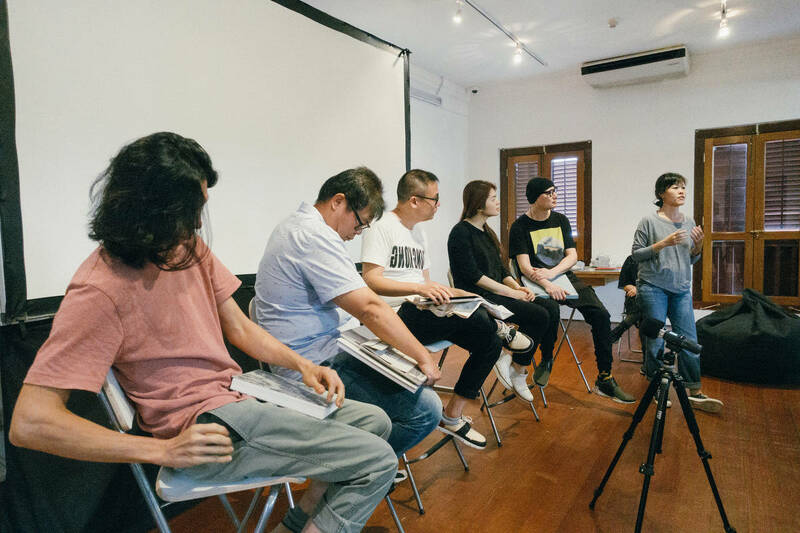 Over the years at Angkor Photo Festival, Jessica has become the friend and shoulder to lean on for young emerging photographers in Southeast Asia. From a background as a print and photo journalist, she transitioned to serving as a photo and news editor in Drik Photo Agency, where she advocated for equal opportunities for photographers in the majority world. 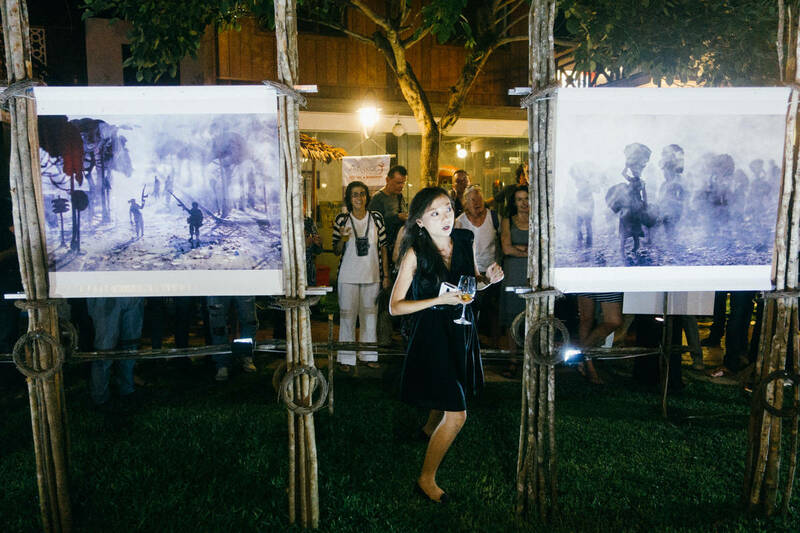 She currently works at 111 East Gallery in Siem Reap. Jessica Lim at Angkor Photo Festival 2015. Swan Ti is a key member of PannaFoto Institute, a non-profit organization based in Jakarta, Indonesia. Founded in 2006 by Sinartus Sosrodjojo and his team, PannaFoto serves as a platform for education and fosters an understanding of photography through its interdisciplinary programs with the support of World Press Photo Foundation in the Netherlands. Ng Swan Ti began her career as a photojournalist in 2002 after working as an employee at a food company for ten years. She took part in a photography workshop held by the World Press Photo Foundation in Jakarta in 2002 and in Amsterdam in 2003. Ng Swan Ti at a photobook gathering in Jakarta. Belinda Winterbourne is the Project Director (WMA) at the WYNG Foundation, before transitioning to the current role, she worked as the CEO of the Foundation. 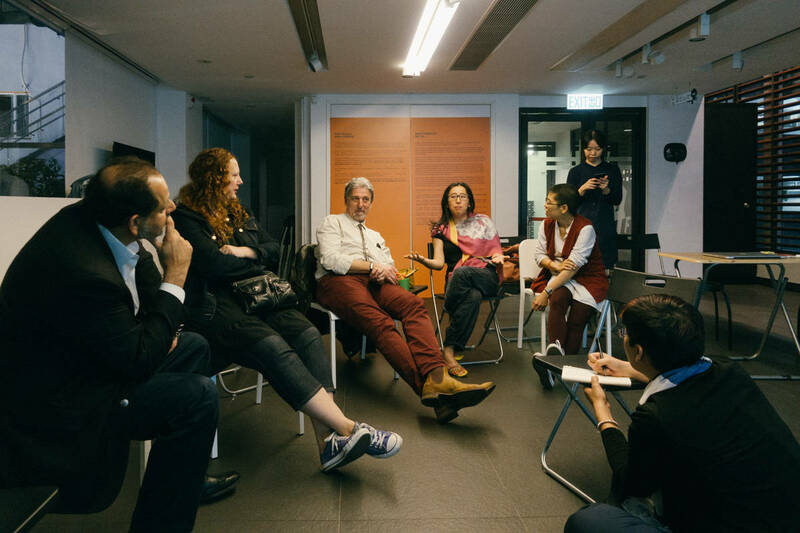 The Foundation launched the WMA Masters, Hong Kong’s first significant photography prize in May 2012, with a series of programs, a dedicated website, and an international open call for submissions of photographic works. This pioneering annual prize in photography firmly places Hong Kong, one of the world’s most vibrant metropolises, as a leader in nurturing the growth of photography as an art form in Asia. Before joining WYNG Foundation, Belinda worked as the Resident Director of an American NGO managing its Hong Kong office and prior to that she worked for over six years working in the broadcasting industry. Belinda Winterbourne taking notes at the judging of the WMA Awards in Hong Kong. Tanvi Mishra (b. 1986, India) started as a documentary photographer based out of New Delhi, India. Trained as an economist at the London School of Economics and Political Science, her background in the social sciences impacts her choices as a visual storyteller. She works with various development organisations and NGOs like CARE UK, CARE France, VSO UK, Plan International and Change.org. Her work has been published in Der Speigel, Le Figaro, Sunday Guardian, Tehelka, BBC among others. Using her experience as a practitioner of the medium, Tanvi became interested in looking at photo-editorial and curatorial aspects of photography. She is keen to observe changing trends in visual culture in this age of mass image proliferation as well as exploring the notion of fiction and truth in photography. She is part of the editorial team of India’s first photography quarterly PIX (http://www.enterpix.in). She curates independently as well as for India’s first photography festival, Delhi Photo Festival (www.delhiphotofestival.com). She was also one of the assisting team members of Travel Photo Jaipur 2016 (www.travelphotojaipur.com). She has recently been invited to curate work from South Asia for the Finland based magazine on photography, Raw View (www.rawview.org). Tanvi Mishra at the opening of Photo Kathmandu 2016. A newcomer to the photography scene, Li Li Chung founded Exactly Foundation in Singapore in 2015 to foster social engagement through photography and dialogue. Since establishment, Exactly Foundation has commissioned five projects through its unique artist residency program. Li Li Chung facilitating Exactly Foundation Peer Session for the foundation’s Artist Residency.